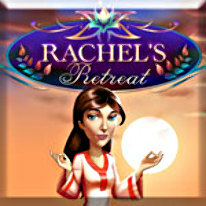 Rachel's Retreat is the perfect dream getaway. Rachel has had one failed spa experience after another...so when she spots the opportunity to start a dream retreat of her own, nothing can stop her! Help Rachel's Retreat to flourish and grow by attending to your clients' every need. With an unimaginable array of beauty, energy and relaxation stations, it's up to you to creatively accommodate clients, and perhaps even change their minds. A host of employees and a mysterious guru named Sven Gali will be at your side to help, but will you know who to trust? Set in a tropical paradise, this innovative mix of time management and building game will pamper you in a hypnotically soothing atmosphere. Luxuriate in the beautiful visuals and warm music while you help your clients reach Nirvana!